Once part of the Chicago & North Western Railroad’s Cowboy Line, this limestone trail covers 321 miles from Norfolk to Chadron. From east to west, the trail passes through the farmland of the Elkhorn River Valley, into Plains ranchland, across the scenic Niobrara River Valley, along the northern Sandhills and to the edge of the Pine Ridge. The Cowboy Trail is the longest rail-to-trail conversion in the United States, which includes a 148-foot high bridge over the Niobrara River at Valentine. Walk, run or bike the trail – it’s a beautiful way to take in the Norfolk, Nebraska area. The Cowboy Trail is also part of the coast-to-coast trail project, Rails to Trails. This nationwide path of interconnected trails, allows travelers to pass seamlessly from one end of the country to the next. 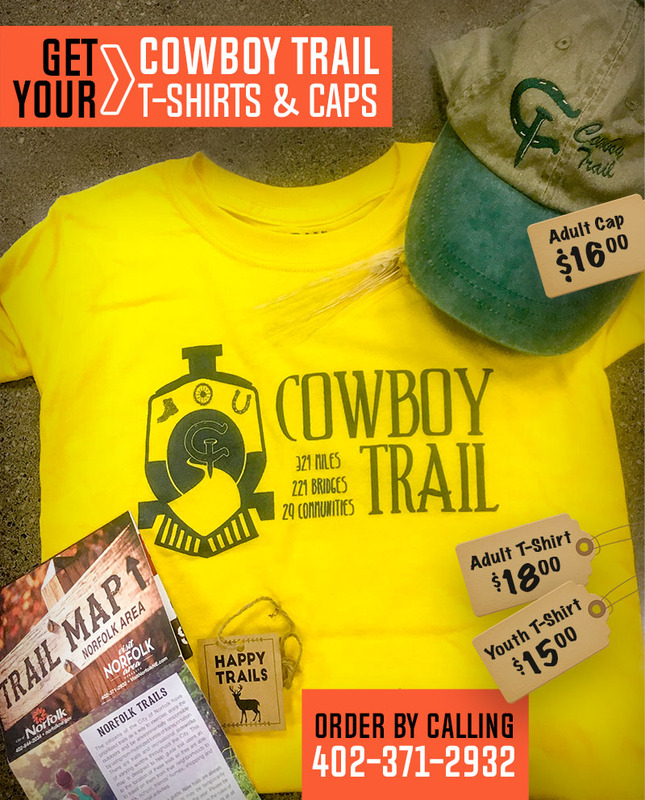 Learn more about Rails to Trails and the Cowboy Trail’s role in this project here.